Halfway between the Calphalon pans and the electric toothbrushes, Jessica Kensky’s right leg began to throb. She made it 20 minutes at Bed Bath & Beyond before the pain forced her to abandon the errand in search of a place to sit. She found relief on a barstool in clearance, but her leg ached the moment she stood to rejoin her husband, Patrick Downes. He examined one trash can for their kitchen and then another, considering their merits like a person without pain. “Just pick one!” Jess wanted to scream. Sweat beaded on her forehead; she bent her knee to take pressure off her foot. It was too much to stand, so she limped to the car to wait it out. Nearly two years had passed since the Boston Marathon bombing stole the left legs of both Jessica and Patrick below the knee, and Patrick was becoming himself again, like most of the survivors they knew. 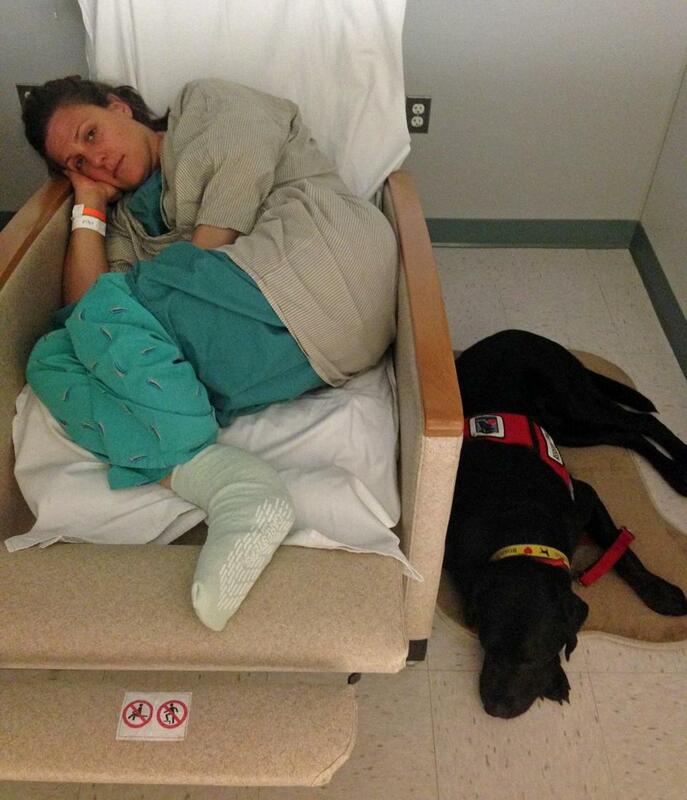 But Jess remained a full-time patient at 33, trapped by a damaged right leg that refused to heal. For so long, she had wrestled with what to do, but alone in the parking lot she now knew. I can’t live like this, she thought, ready to amputate. And then the next morning in the shower, she dropped the soap. Sitting on the tile bench, she reached down and picked it up. It was that easy because she still had a right leg to plant, however imperfect. 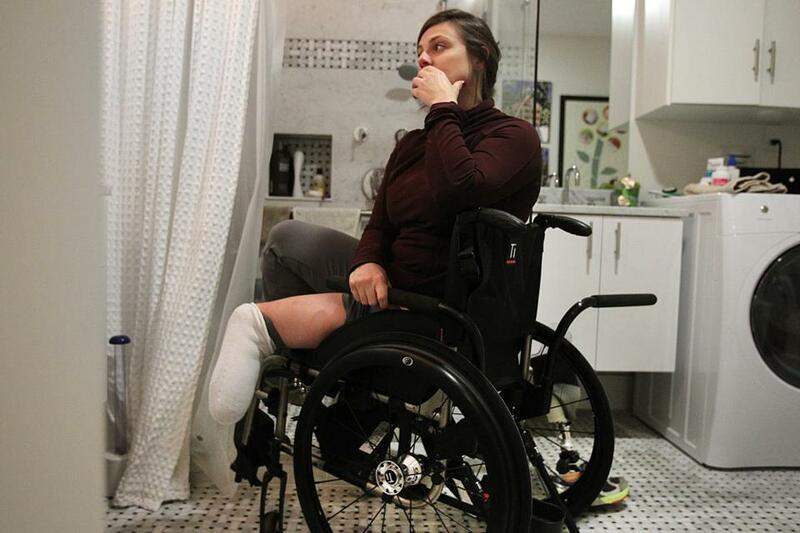 In her mind, she saw herself as a double-amputee, two partial legs dangling over the edge, no way to reach the soap. Like Humpty Dumpty, she thought, and she filled with doubt. It had become her life. Pain and doubt, doubt and pain. Their engagement shot had gone viral, a captivating image of the newlyweds. Back when they had been clinging to life in separate hospitals, a photo of them — their engagement shot, Jess leading Patrick by the hand in a vivid dress — had gone viral, a captivating image of the newlyweds who lost their left legs. They managed to preserve their privacy through that first year of healing, but they felt compelled at the anniversary to come forward with other survivors as ambassadors of the city’s recovery. 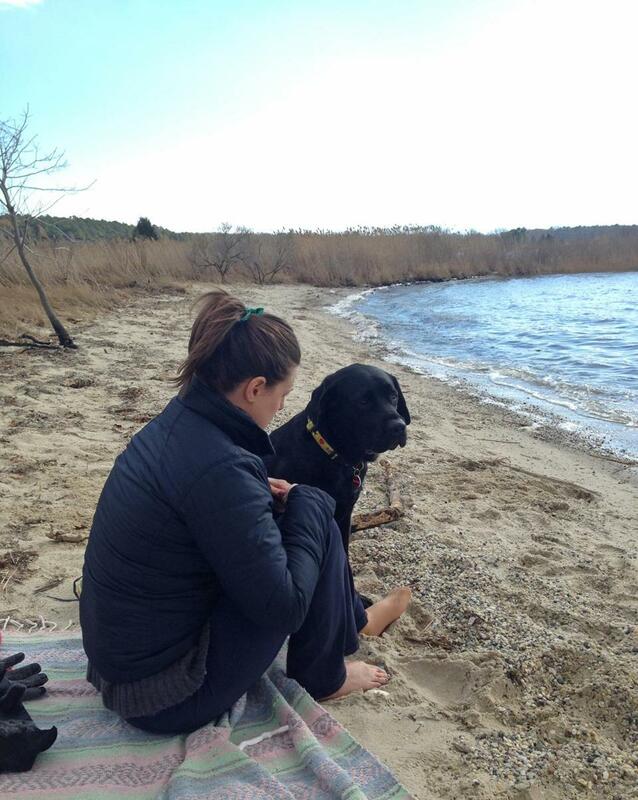 Last April, Jess sat with her service dog, a black Lab named Rescue, and watched Patrick rise before a packed Hynes Convention Center at the televised tribute service and speak of the “individual snapshots of grace” that had buoyed them all after so much pain. They gave their first interview as a couple, honest about their challenges, grateful for so much generosity — the tailor who altered Patrick’s wedding suit to fit over his prosthetic, the employees at the hospital where she worked who donated enough vacation time to keep her on the payroll and preserve her health insurance for years to come. On Marathon Monday, they pumped hand-cycles from Hopkinton to Boston, crossing the finish line together while holding hands; a photo of the moment beamed around the world, a symbol of triumph and hope. Things had seemed so bleak after the bombing. Jess could barely stomach the sight of her amputated leg, burying it under blankets, refusing when doctors wanted to remove her right leg, too. “They’ll have to kill me first,” she told her father in the hospital that first week. But it was like her even then to set a timeline. A driven oncology nurse who had run two marathons, she vowed that they would be through all this in a year. By the second summer, she told herself, Patrick would resume his training as a clinical psychologist and she would return to MGH. If she could no longer handle the physical demands of long shifts on the chemo and bone-marrow transplant unit, she would study for a nursing doctorate and another job at the hospital. And from afar, it looked like they were turning the corner. But when the tributes and cameras receded after the first anniversary, Jess felt hopelessly behind. The bomb had destroyed her right Achilles’ tendon and shattered her ankle and heel, and a year after reconstructive surgery she could still barely walk on it, even with a high-tech brace designed for the military. She consulted experts in Boston, Baltimore, and Seattle, in Philadelphia, Orlando, and Houston. Each surgeon offered a different idea to make her leg more stable, less painful — harvesting bone from her hip or her thigh to construct a new heel; weaving this or that tendon to build a new Achilles; fusing the bones in her ankle to lock her foot into place. Each time, she and Patrick would get their hopes up. Then doubt would creep in or another specialist would dash the plan. Even as a nurse, with a radiologist father, she found it impossible to navigate. And the more her leg ached, the more she felt stranded, lagging her own timeline and everyone else — ready now for some doctor to declare they were wasting time and should just amputate. But none did, not yet. Then there was the money. The year before, she had left $1 million on the table by insisting on saving her leg. The two survivors who lost both legs had gotten $2.2 million apiece from the One Fund, while the 14 of them who initially lost one leg got $1.2 million each. She was grateful for that sum and appreciated how many people lost limbs to illness or accident and got nothing. She knew the expenses this money would help cover — an adaptable home, an SUV big enough for two wheelchairs, special prosthetics for running or sports, not covered by insurance. But how could she not dwell on the other million, especially if she missed it only for the sake of an excruciating year followed by a lifetime as a double-amputee? With a summer deadline looming for a supplemental award, she thought about cutting off her leg for the money. But she feared aging, having seen so many older patients who still had both legs struggle, scared how she and Patrick would ever care for each other if he had one leg and she had none. And the thought of losing her toes — the pleasure of a pedicure, of sinking them into the sand, of warming them against Patrick in bed — made her despair. She didn’t want to amputate, and she didn’t want to keep her leg like this, either. What she wanted was her old life — still caring for patients at Massachusetts General Hospital, running along the river or walking through Harvard Square with Patrick, cooking dinners together and bringing meals to friends. She wanted to go back to a time when she could envision needing a wheelchair only to leave a hospital with a baby in her arms, Patrick pulling the car around. What she needed was to figure out the better of two bad options and restart her life. So she agreed when an MGH orthopedist recommended more imaging last June. A scan showed a misaligned ankle, a mysterious chunk of floating bone, and a fibula (calf bone) that had never properly healed, all potential causes of her dysfunction and pain. A follow-up scope showed something even worse: Her ankle was so out of whack that mere movement made cartilage and bone shear off. In the OR, the surgeon removed the debris but said the grinding would continue unless she underwent major surgery to fuse her ankle and lock her foot at a right angle. Except that could change her stride and put more pressure on her compromised heel — relieving pain in one place but worsening it in another. While they were trying to sort this out, a painful knot of bone grew at the end of Jess’s amputated left leg, making it impossible to wear her prosthetic — heterotopic ossification, a haywire response to blast trauma that has also afflicted many Iraq and Afghanistan war amputees. On top of that, her vision was fading, another delayed symptom of the blast. So there she was in her wheelchair, feeling desperate and trapped, when her sister called early last summer. She said Jess needed to talk to a soldier named Ferris Butler. Sarah Kensky, 6½ years younger, had dropped everything after the bombing to move from California and become their live-in caretaker. Now she was a BU public health student with an internship at Walter Reed National Military Medical Center, working on a study of resilience in wounded soldiers. That was how she met Butler, a double-amputee. Then she thought of how good Sarah had been to them and decided to text Butler for her sake, setting up a time to Skype. On the surface, they had little in common besides amputation. He was a ninth-generation soldier — a Butler had served in every conflict since the American Revolution — who loved to fish and trap-shoot and lived on Maryland’s rural Eastern Shore. She opened her MacBook, and Butler appeared on screen, ruddy-faced and friendly. He told her his story: He was a newly promoted first lieutenant leading an infantry platoon in Iraq when a hidden explosive launched his armored vehicle into the air in December 2006. The blast shattered his legs but left them attached, and after medics saved his life, surgeons tried to save his legs. Jess had wondered whether soldiers were better equipped to handle trauma like this, braced for it in some way that a Boylston Street bystander could never be, but so much of what Butler said matched her experience. He recoiled at the thought of becoming a double-amputee. He struggled with depression, and when he watched soldiers who had arrived after him at Walter Reed — new amputees — walk and then run on artificial limbs, he was angry at how his real legs kept him stuck in a wheelchair. “You feel like your life is on pause, that you’re wasting time,” he said, and she knew just what he meant. They talked for three hours. Butler could see how badly she needed help — the kind of expert advice they could provide at Walter Reed, which had treated hundreds of blast amputees from the Iraq and Afghanistan wars. He had an idea. Jess hesitated. The thought of navigating airports with Patrick — two prosthetics, a wheelchair, a service dog, and one healthy leg between them — made her shudder. But Butler’s adrenaline was going. He called his old surgeon and asked whether he could bring Jess in for a tour and some advice. He reached out to Veterans Airlift Command, a network of private pilots who transport wounded soldiers and their families. All he had to say was “Boston Marathon,” and both immediately wanted to help. So did a car service and a Sheraton near Walter Reed, where Butler lined up an accessible guest room with a roll-in shower. He called with the good news and promised to meet Jess and Patrick after they landed. But when they got to Hanscom Field to board the plane — a low-bellied turboprop chosen for ease of entry from a wheelchair — he surprised them at the airfield. Butler felt like he was on a mission — never forgetting the way people had taken care of him, wanting to pay it forward — and tried to think of everything for the two-day trip. They landed in Gaithersburg, where Butler and his wife had prepared Jess and Patrick’s room with a welcome kit — Maryland craft beers, Old Bay seasoning, even a crab chew-toy for Rescue — and took them to dinner. The next day, he drove them through the checkpoint at the front gates of the base known as Naval Support Activity Bethesda — 243 acres of green lawns and glimmering buildings anchored by the new Walter Reed, born from the merger of Washington’s old Walter Reed Army hospital and the National Naval Medical Center — and guided them to the America Building, a 515,000-square-foot outpatient recovery center. They stared in disbelief at the technology — labs with infrared cameras and interactive screens surrounding special treadmills — and the presence of an on-site prosthetics lab, where amputees could drop in for adjustments or new limbs altogether. In the civilian world, you needed a prescription and appointment to see your prosthetist, whose office might be miles from your home, let alone your doctor, physical therapist, and occupational therapist. Here, you rolled out of bed and saw them all at once, your care team working together. Jess and Patrick at the Walter Reed National Military Medical Center in Maryland. Most of all, they were awed by the gym at the heart of the America Building’s Military Advanced Training Center, known as the MATC (pronounced “mat-see”). Back home, rehabilitation meant elderly people learning to walk after breaking hips. Here, they saw young men sweating in Under Armour gear — double and even triple amputees hoisting heavy medicine balls or charging around the track in a harness hooked to the ceiling. Then they got a workup from Dr. Benjamin “Kyle” Potter, chief orthopedic surgeon for Walter Reed’s amputee program, and Dr. Paul Pasquina, director of physical medicine and rehabilitation. Jess’s case presented nothing new to them, and they gave her what she craved, a clear message: It’s premature to give up on your leg, and here’s what we propose to try to save it. They recommended fusing her ankle while resetting her lower-leg bones, smoothing down the remnant of her heel, and manipulating the tissue underneath for more cushioning. They said her left leg should be shortened to better fit a prosthetic, in addition to the need to excise her painful bone growth and remove more shrapnel. And they suggested doing it all at once, one long operating session and concentrated recovery, instead of the endless surgery-recovery, surgery-recovery cycle proposed by her civilian doctors. But it was just advice. Jess wasn’t their patient. The day was dwindling, the turboprop waiting to carry them back to Boston. She could see everything she needed was right here — the expertise, the facilities, the peer support. She joked about chaining herself in place. And then, gravely, asked whether she could stay. “This is way above my pay grade,” thought Potter, a lieutenant colonel in the Army Medical Corps. He had treated occasional civilians at Walter Reed, but they were all government contractors with high-risk jobs or allied foreign nationals wounded overseas — never someone hurt at home on a city street. But they could try. Pasquina, a retired colonel, offered to draft a memo to the Pentagon seeking what they called “Secretarial Designee” status for the two of them. Patrick’s case was less complex, a “paper cut” in Walter Reed terms, but they could push him to a higher level and keep the couple together. Even for Jess’s dire case, though, it was just a shot. Getting status was mysterious, not like filling out an application for grad school. Jess tried not to think about it too much, knowing she would be more devastated if it fell through. Patrick was invigorated, though, seizing the opportunity to do more than comfort her while she suffered. He made a list of everyone who might help and contacted them all. People like US Representatives Doris Matsui and Jim McGovern, for whom they once worked as new college grads trying out life on Capitol Hill; former Boston mayor Tom Menino, who had taken them under his wing after the bombing, ailing himself, and was close with the vice president; and Senator Elizabeth Warren, whom Jess had regaled in the hospital that first week with a story about sprinting home from work to vote for her before the polls closed. They all said the same: We’d love to help, but what do we do? None had gotten this request before. For weeks, people called and wrote on their behalf, while Jess and Patrick girded for life without Walter Reed. “No news,” they wrote Aug. 20, on a recovery blog for family and friends. Jess booked two dates at MGH in September, one to meet again with surgeons, one to schedule the OR — maybe for fusion, maybe amputation. And then, Aug. 22, Jess woke to a text from Dr. Potter: You’re in! They cheered from the bed. Potter was heading into surgery but would call again soon. Her phone rang while they were in their apartment-complex gym. Potter read a letter from the Pentagon. For a full year, Jess could receive care from Walter Reed’s doctors, prosthetists, and therapists — billed to her insurance. It was Friday. If she could be there by Monday, he could get her in the OR by the end of the week. There was no word on Patrick’s status, meaning he could come only to support Jess, not to receive care himself. Monday would be their second wedding anniversary. And he was preparing to start a new fellowship soon at BU. But there was no doubt in his mind that he would put his career on hold, that they would both go, leaving immediately. They hung up and started packing. On the drive down, anxiety set in, like they were heading off for freshman year of college. They worried about fitting in on a military base, two Cambridge residents who could count the soldiers they knew on one hand. And they felt pangs of guilt about Jess receiving the highest care an amputee could imagine — care meant for people wounded serving the country — when so much generosity had already come their way. “How much do you get in a lifetime?” she wondered. Thursday she went into the operating room with Potter and Dr. Scott Shawen, an orthopedic foot-and-ankle specialist and Army colonel, for extensive surgery on both legs, nearly eight hours on the table. If all went well, by mid-fall her left leg would be healed enough to be fitted for a new prosthetic, and by Thanksgiving she could try putting weight on her right leg, too. The three to six months after that would serve as a “stress test,” revealing whether to keep going or amputate. She spent a week in the hospital, where her Walter Reed nurses impressed her with their kindness and skill managing her wound pain and phantom pain, which returned with surgery on her left leg. Her pulse was so rapid that doctors feared an embolism, but Jess knew it was from anxiety and being out of shape, cooped up so long in her wheelchair. She urged them to let Rescue crawl into bed with her, his soothing powers outweighing the infection risk. He had been trained to fetch objects and brace her in a fall, but now he brought her heart rate back to earth. On Aug. 28, Jessica went into an eight-hour surgery to make walking easier on her right leg. She was still an inpatient when her physical therapist, Kelly McGaughey, appeared, getting her arms moving and giving her a ball to squeeze between her bandaged legs. No time for self-pity here; they had to keep the hip muscles she would need for walking from getting any weaker. Jess hoped to move from there into “wounded warrior” housing, a dorm with 153 two-bedroom, two-bath apartments for soldiers doing full-time rehab and their spouses or caregivers, but that would take some work. They moved instead into Fisher House — like the Ronald McDonald House, but for families of patients at military hospitals — getting a hotel-style room with two twin beds. “Return to the ’50s,” she posted online. She started rehab in the MATC, five days a week; Patrick came along for support, doing his own workouts on the side. She saw her physical and occupational therapists, McGaughey and Annemarie Orr, as she had seen herself, young women in the health care field who were skilled and demanding and compassionate, fast friends who soon felt like family. And the doctors, they were like brilliant camp counselors, CVs a mile long even as they traded jokes and worked out beside patients, in gym shorts and with lanyards around their necks. On weekdays, the base hummed with 15,000 people moving among 70 buildings, some rolling by on Segways or in wheelchairs, others running, a mash-up of street clothes, uniforms, and scrubs. Turn a corner and you might find a Marine in workout gear with a gym bag and extra leg over his shoulder, or a visiting Brad Pitt, or a pile of cards from school children thanking soldiers for their service. That Jess and Patrick had not served made them self-conscious at first. But the soldiers took what happened in Boston personally and embraced them. They made friends in the gym and the cafeteria line, people inviting them to come shopping at the Navy Exchange or sit by the fireplace at the ski-lodge-style USO. They stood at attention when “Reveille” echoed across campus, and they learned to recognize the distinct camouflage patterns of each service branch. On weekends, quiet set in, and they relished it or left to spend time with Patrick’s brother or Jess’s aunt and uncle nearby. Ferris Butler invited them for a visit to the Eastern Shore, and Jess studied all he could do on two prosthetics, an energetic host fixing breakfast and moving around with ease. That lifted some of her fear. But outings in Washington were bittersweet, the city where Jess and Patrick met, layered with memories of being young and dating. Now they stuck to restaurants that were ADA-compliant, but still there were places like the Bethesda brewpub where she had to ride a boxy lift down the steps from the entrance to the dining room, the noise making everyone turn and stare. Patrick climbed in with her, hugging her and kissing her forehead. The Walter Reed campus still felt surreal, but she found a comfort there she hadn’t known since before the bombing. They could move about with prosthetics, in a wheelchair, no limbs on, whatever, and nobody would blink. These are my people, Jess thought. Medication stabilized her vision, and by the second week of October, her left leg had healed enough to don a new prosthetic. Jess stood, with assistance, for the first time since spring. “Vertical again!” she posted online, beaming next to Patrick while propped on a set of parallel bars. She was still not allowed to put weight on her right foot, but she practiced walking on crutches, supported by a harness hooked to the gym ceiling. Around Halloween, Patrick got Pentagon approval for his treatment, too. They celebrated with friends and took a tour of the Naval Academy in Annapolis, dressing up Rescue in a midshipman’s costume. Jess received a protective “walking boot” for her right foot and permission to stand long enough to brush her teeth, with the hope that she would be well enough to try walking in a few weeks. Her right leg healed ahead of schedule. The doctors studied her imaging and said the fusion looked just how they hoped it would, her bones lined up, no more grinding and scraping. Though her ankle would be sore, it should get better with time. And while there was no substitute for the fibrous fat of the body’s natural heel pad, they hoped the cushion they had manipulated there would help her pain underfoot, too. On Nov. 12, the day after Veterans Day, they gave her the green light to walk. Finally. She had not been allowed to walk since June. Now she stood and put one foot in front of the other and walked — real walking, no parallel bars, no crutches, no harness hooked up overhead — and everyone around her beamed. Ferris Butler was there, and when they walked down the hall to get coffee in the lobby, he had a hard time holding back tears. None of them had ever seen Jess up and about like this. But as satisfying as it should have been — she envied people who could walk and talk and get coffee, no big deal — her heart sank. The pain was worse than she had anticipated, radiating from her ankle, heel, and foot all at once. The doctors asked for patience. She had been living with this for more than a year and a half; they had been with her only a few months. One day became two days. Two days turned into two weeks. When the pain did not improve, they tried steroids and collagen injections, gave her anesthesia, and deployed the OssaTron, a shockwave device to deaden nerves and stimulate blood flow, deafening as a firing range. They were trying so hard it scared her a little, made her want to get better for them as well as for her. But still her leg ached. She thought about nursing school at Johns Hopkins, when they talked about understanding pain as the “fifth vital sign.” Pain was subjective, they said. Pain was whatever the patient said it was, rated from zero to 10. Zero meant no pain, 5 was distracting, 10 was the worst you could imagine, pain she never knew until she got blown up. This wasn’t that awful, but it was close, an 8 or a 9 if she spent more than a few minutes on her foot. She knew what it felt like to run through pain in a marathon, and this was different, this was worse. As November rolled into December, her doctors could propose only one other surgery that might help, fusing her subtalar joint — the lower joint that allows the foot to tilt inside or out — the way they had fused the ankle. But it was no guarantee. She wasn’t interested, not with more wheelchair time before she could test it again, not with her Pentagon status running out in the summer and her own clock ticking, all those months when she could be practicing on two prosthetics instead. Her care team knew how hard she was working, how much she had tried, how bad the pain remained. 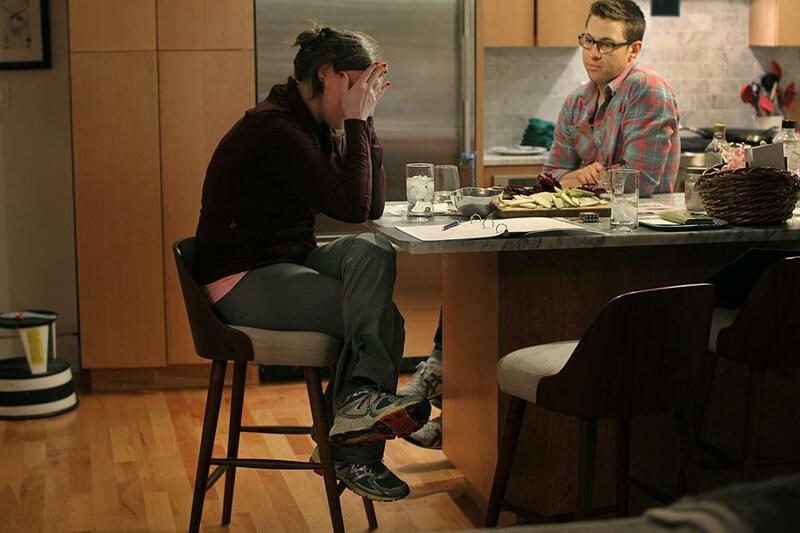 There would be no six-month “stress test.” If she wanted to amputate, they were ready. Hearing them say it out loud brought relief, but also fear. Suddenly, this was real. She tried to tamp down her nerves. She wanted to schedule surgery as soon as possible, cut down the wait. She had one last box to check before the OR: the psychological evaluation. Everyone knew what it meant, giving her a wide berth as she left the MATC for the corridors linking the America Building to the Eagle Zone hospital, home to psychology on the seventh floor. She tried to project confidence as she walked, passing a hall of flags and a statue of a medic hauling a wounded Marine, and she wondered what questions they might ask that she hadn’t been turning over in her mind for months. She knew what it was like to lose one leg and had tried everything reasonable to save the other. Two and a half hours later, she emerged in a daze. A psychiatrist and a psychologist had asked so many questions, drilling down to her childhood and back. It was Dec. 9. They advised her to take more time. They wanted to meet again, not just with Jess but with Patrick and the team around her, her doctors, her physical and occupational therapists, her prosthetist and case manager and social worker. It would be tough to get them all together before the holidays, and better for her not to be recovering from surgery during Christmas and New Year’s, they said — better to go home and be with family. Keep thinking, they said. The last thing she wanted was more time on hold. She considered advice Butler had given her, and a Vietnam veteran had given him: “Whatever you do, you can’t spend the rest of your life playing the what-if game.” Now she doubted herself. What if she had rushed into it? Head swimming, she retreated to the grass beside the America Building to toss the ball with Rescue, her favorite escape. Watching people run and jump could make her feel jealous, but watching Rescue do it made her feel free. This time, though, she could not clear her mind. She kept thinking of her leg — the one she was standing on this very minute — and her five remaining toes, the ones she had sunk into the sand on their honeymoon in Aruba just two years before. She wanted that old life back. Was getting rid of this leg the best way to do it? Because she had told herself the psych eval would be a formality, she had scheduled an appointment afterward to get fitted for a better wheelchair. She canceled that now and went back to the MATC to find Kelly McGaughey and Annemarie Orr. They knew she could get overwhelmed when the pain was at its worst, and they talked with her about trying to find a way to compartmentalize it — to tap her nursing instincts and monitor her leg on the trip home without letting it spoil the holidays. She left the base with Patrick, driving to a coffee shop to be alone together. She didn’t feel like calling her family or updating her blog, not yet. Back at the Fisher House, she napped until evening. When she woke up, she felt lighter, glad now that the psych eval had slowed her down. In the morning, the two of them called for the usual shuttle to take them across campus to the MATC, sitting close together in the van, knees touching. They climbed out at the America Building, walking past a piano player in the lobby, heading for the gym. From a therapy bed in the middle, McGaughey called out to Jess. “Wait till you see your book!” the physical therapist said. Jess laughed. “You guys are so cute,” she said. “We’re such dorks,” Orr said. They joked about how the male soldiers might respond to the same festively decorated book. But Jess knew it was what she needed, a way to be her own nurse, monitor herself, make something like an evidence-driven decision. They talked about the coming trip home: When Jess and Patrick had left suddenly in August, they were poised to move into a Cambridgeport condo renovated for accessibility. Now they could finish outfitting it, and Jess could try life again in a neighborhood designed for walking and riding the T, venturing out on her own for errands or appointments. “Do you normally just take the T to do that?” Orr asked. They talked about distance, stamina, and pain, about how standing could be as hard as walking, about what might happen if she got all the way to the T but found it too crowded to get a seat. “Don’t overdo it in the morning,” Orr suggested. Think about “energy conservation” — sit to brush your teeth or cook, save standing for when you need it. But really test what it would be like to live with that right leg. Six hundred days had passed since the bombing. Jess wanted to try something different each day home, something she had not done since back then. On the third day, they drove to Bed Bath & Beyond to buy odds and ends for the condo. On the Friday after Christmas, she would try walking to the grocery store. She conserved her energy all day, venturing no further than the dog park beside their building, sitting on a bench while Rescue rolled in the mud. At 4 p.m., it was time. Patrick grabbed some reusable bags, and Jess picked up the vest that tells strangers Rescue is working. “Let’s get dressed,” she said to the dog. They started down the sidewalk holding hands, laughing and smiling. When they reached the turn, Patrick pointed to construction down the block — on the supermarket side — and suggested they not cross yet, to avoid extra steps. They had gone fewer than 800 feet, halfway from their condo to Star Market. Pitiful, Jess thought. Rescue crawled under the bench. The pain receded once she sat down, as it almost always did. She exhaled. “Let’s go,” she said. They walked silently to the store, where leaning on a grocery cart helped. Jess’s smile returned, and she read items they needed from a list on her phone while Rescue sniffed under the dairy case. By the time they turned for the second aisle, she was walking gingerly again. She waited with the cart, bending her knee to take weight off her foot, while Patrick grabbed what they needed. They loaded up ingredients to host a weekend chili party, a reunion for Boston-area bombing amputees. In produce, Patrick’s phone rang, Marc Fucarile calling, one of the survivors from Stoneham. At the register, Jess bit her lip in silence while Patrick chatted with the cashier, ran back for more butter, and swiped the credit card, looking, in his jeans, like any other able-bodied shopper. On the way home, Jess clutched a bag in each hand, rocking as she walked, too determined to talk. In the kitchen, she sank onto a cushioned stool, letting Patrick put the groceries away. Before dinner, she went upstairs to take Tylenol for the pain from a baggie in the master bath filled with orange prescription bottles, skipping the narcotics. 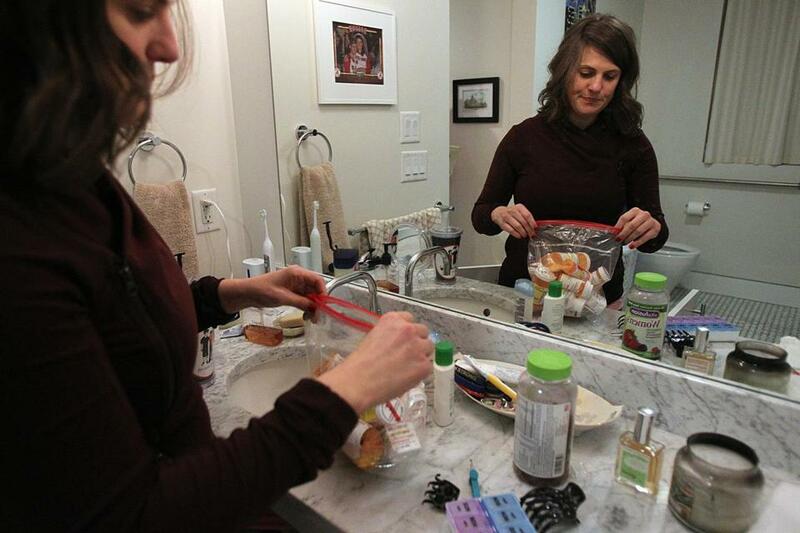 A “Boston Strong” bracelet rested under her toothbrush on the vanity. Jessica Kensky still had a hard time managing the pain even after a surgery to make walking easier on her right leg. A lift had been installed in the condo, but she took the stairs, clutching the railings, one careful step at a time. When she returned, Patrick had started chopping vegetables for dinner, and Jess grinned. For 20 minutes, they worked the way they used to in the kitchen, side by side, Jess joking about Patrick’s music selection (“You going for the dance club tonight?” she teased him, as Usher streamed from his phone), the only difference from the old days being her stool. When she stood, though, the pain returned. She flipped back through their 12 days home. On Dec. 19, she walked to the T and met a friend at Crema Cafe, their favorite coffee shop. On Dec. 23, she took herself to the dentist and Rescue for a real walk, all in one afternoon. On Christmas Eve, they hosted a party, Jess circling the room to freshen glasses and collect plates. But some days she had done nothing. No day involved as much walking as a single day back at work or school. The pain was consistent — so many 7s and 8s, code for sweating and lip-biting, desperate to sit. After the Christmas Eve party, both legs throbbed for hours even after she lay down. She dropped the pen. She put her head in her hands and exhaled. Patrick leaned in and touched her cheek. In their hearts, they both knew. That night Jess looked through photos on her laptop: Standing in the sand on their honeymoon, sipping cocktails, arms entwined. Reading on a beach chair in a bikini, toes painted. Sitting on the floor in Cambridge, Patrick’s parents’ Bichon in her lap. Out in Arizona for a wedding with her family right before the bombing, hiking in shorts. All she saw were legs. She could never look like that again. And sometimes she would ask Patrick, Do you remember what I looked like back then? He would hesitate because it was normal to forget, because he didn’t want her to compare herself to the impossible. But he did remember, and she wanted him to. After New Year’s, she called Walter Reed to plan their return. They had been approved for wounded-warrior housing, which would make recovering from surgery easier. She booked a second psych eval and a date to amputate the following week. Part of her still felt like she could wrestle forever with what to do, waiting for the invention of some miracle brace, fearful of being a double-amputee in old age, but she would not. She needed life to get better now. She needed less pain. She had tried hard to save her leg, and now she would try something else. Their family helped them pack, and two weeks ago, they climbed into the car, leaving the condo they had known for a month. Pulling out on a misty evening, they turned right and then right again, heading for the highway, back to Walter Reed. On the day before her surgery, they made another trip: out to the beach in winter, so Jess could feel the sand between her toes one more time. Jess savored the sand between her toes and made a footprint on the day of her right foot’s amputation. She chose blue and yellow paint for the colors of Boston Strong.